Much of the focus here is on discussing the most basic option concepts and building from there. The other main focus is on guiding your understanding of how options work. That knowledge allows you to use options effectively. It's easy for someone who considers himself to be an options educator to tell people that they should buy call options when they expect the price of the underlying stock to rally and to buy puts when then anticipate a decline. However, that would be a huge disservice to those readers. There is so much more to using options than guessing whether stocks will move higher or lower. By the way: ​profiting from that guesswork is far more difficult than it seems. Options were invented as risk-reducing tools. 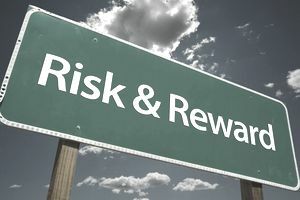 To be more specific, they were created to shift risk from those want to avoid too much risk to those who are willing (for a fee) to accept that risk. If this sounds as if options can be used as insurance policies, that is because they can. Most newcomers to the options world never get introduced to that risk-reducing concept and thus end up using options as a gambler would. We encourage you to use options as someone who wants less risk when investing in the stock market. The final decision on how you use options is yours. Our job is to be certain that readers understand the difference between speculating and hedging risk -- so they can make intelligent decisions. Thus, most articles refer to ways to generate profit with less risk (i.e., with less money on the line). If you prefer to speculate, then consider learning how binary options work. When you buy homeowners insurance, you are making a bet with the insurance company. For a (too high) fee (premium), the insurance company guarantees to provide money to replace your house, if it is destroyed. You don't expect to win the bet. In fact you hope that the insurance policy expires unused. However, you buy insurance when you cannot afford to replace your home if the unexpected happens. So you buy insurance for the peace of mind that it provides. A risk averse stockholder can do the same. By paying a premium to buy a put option, the stockholder is guaranteed (for the lifetime of the option) that the value of the stock cannot fall below a certain price level (the strike price of the option). As often happens with homeowners insurance, time passes, the insurance policy lapses or the put option expires, and the cost of insuring the property is lost. The question for most people is whether that cost was worth the peace of mind that it provides. The answer is almost always 'yes' when dealing with a home. Stockholders must make a careful ​determination, because buying puts is an expensive type of insurance. The point of this discussion is to be certain that you are aware that. Put buyers tend to come in two varieties. Conservative investors who own stock. The aggressive trader who is willing to bet that the stock price will decline. Put sellers are almost always speculating (this is not the time to talk about exceptions) by betting that the price of the stock will not decline, or at least that it will not decline by enough to result in a monetary loss. Options are useful for almost all investors. To reduce risk when investing, there are several option strategies that should suit your needs -- including writing covered calls and selling cash-secured naked puts. We must mention that buying puts as insurance when you own stock is not a good choice. It is a popular choice because investors don't make an effort understand options as well as they should before making their first option trades. If you prefer speculating, then we encourage you to recognize the risk involved. We will talk about using spreads rather than individual options when adopting various option strategies. That is an excellent way to cut cash at risk. The main point is that you should avoid taking unlimited risk when it is so easy to limit risk with every trade. Managing risk will be a major focus in these articles.